The best solution available for scaling the email archiving cost/performance needs of any organization. 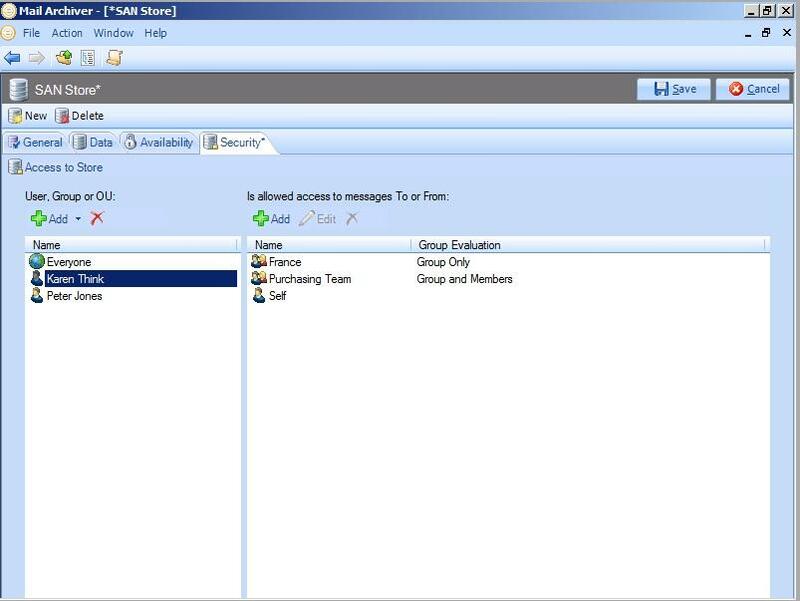 Exclaimer Mail Archiver is a powerful email archiving solution for Microsoft Exchange that gives you all the business and compliance benefits of email archiving without the setup and running costs that are usually associated with email archiving. This Exchange archiving software solution is remarkably easy to install and configure, does not require any specialist IT skills to manage, works on hardware of all specifications and does not need complex and expensive relational database packages to operate. 60% cheaper than competing products. Save to a wide range of hardware of all specifications. Eliminate the need for PST files. 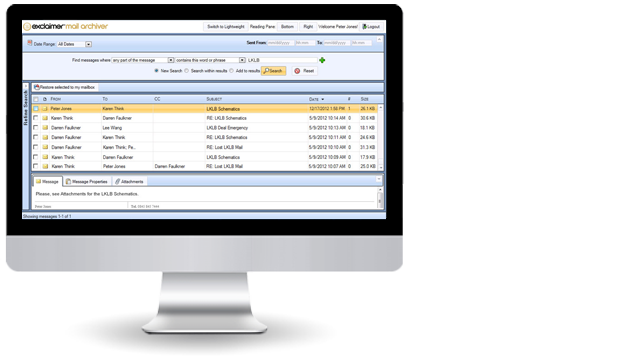 If you are looking for an affordable, simple to use and powerful email archiving solution, you definitely should use Exclaimer Mail Archiver! Our Exchange archiving software configures standard Exchange Journaling to deliver copies of all your organization’s emails to one journal mailbox. Use a Journal Access Service, which reads all emails from the journaling mailbox and writes them into an Archive Store for indexing and access. Emails can be deleted from the journal once archived, in accordance with your organization’s retention policy, so there is no slowdown in Exchange performance. Utilizes Microsoft’s Exchange Web Services component so the Exchange archiving software works perfectly with on premise and hosted Exchange installations. 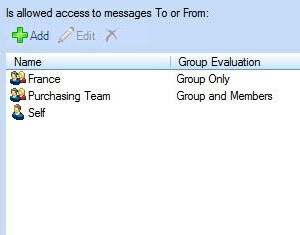 No requirement for Client Access Licenses (CALs), unlike Exchange’s ‘Personal Archive’ option. Stubbing is not used, which Microsoft advises, reducing the number of records in Exchange and increasing server performance. Users can’t tamper with emails or remove them before they’re archived. Email archiving solutions grow by definition. Your organization receives thousands of emails per day, which you will want to archive for numerous reasons. Our Exchange archiving software uses an Archive Store, which is a proprietary indexed store optimized for the specific needs of email archiving. All mail stored in our Exchange archiving software uses a flat file based structure. Archive emails to any store that can hold files e.g. DAS, SAN, NAS, cloud-based storage etc. Emails that meet different criteria can be archived differently by the rules engine, e.g. archive more recent emails locally but older emails up in the Cloud. Many solutions often require you to install third party relational database products. Since Mail Archiver doesn’t need to use SQL, it doesn’t require the dedicated equipment and licenses a separate Microsoft SQL Server installation demands. Scale email archiving easily, while maintaining search performance and scalability. Exclaimer Mail Archiver has a number of awards in the Readers’ Choice Awards. 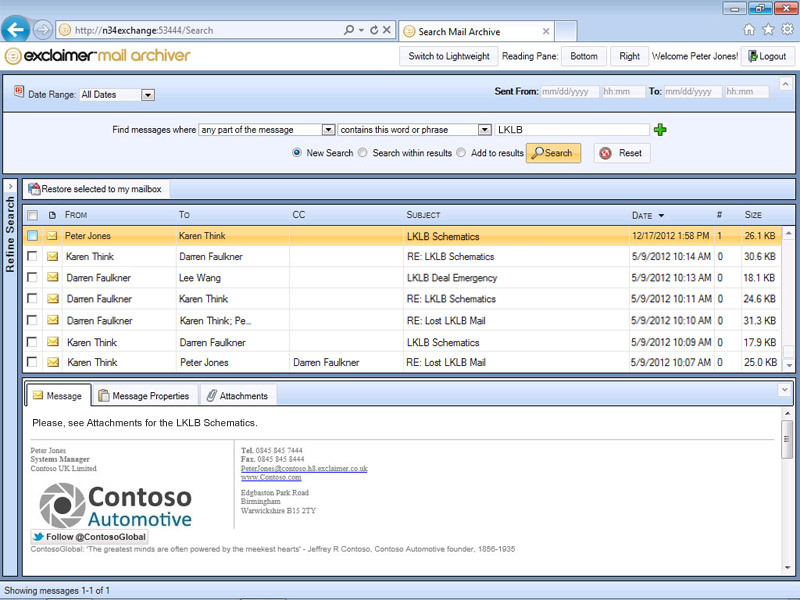 Give users full access to the email archive from Microsoft Outlook or any device that is web-enabled. Take advantage of a fully featured Outlook Add-In that integrates seamlessly with Outlook 2019, 2016, 2013, 2010 and 2007. Search using two web browser search UIs: one for tablets or PCs without Outlook and another for smartphones with smaller screens. 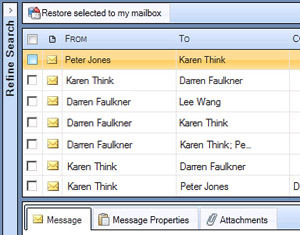 Restore messages from the archive back into an inbox, or any specific folder, in a single click. Choose criteria in the software’s sidebar (like sender, recipient, conversation or date range) and instantly narrow your search to see only messages that match those conditions. 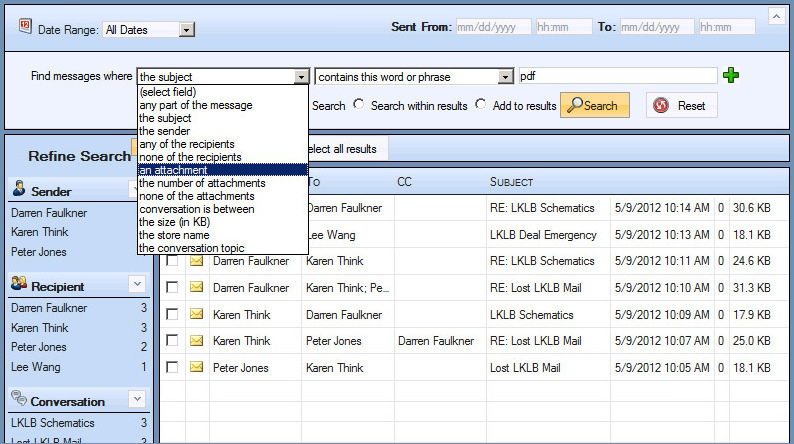 Want to find out more about the great features in Mail Archiver. Contact us directly today.